Each academic year, we confer the following prizes on selected MSc students. Prize winners are presented with their prize and a certificate on the last day of the course. This prize is awarded to the candidate(s) who displays the most focus, determination, improvement and consistency throughout the course. The prize is judged by the Course Staff and is sponsored by Oxford University Press. 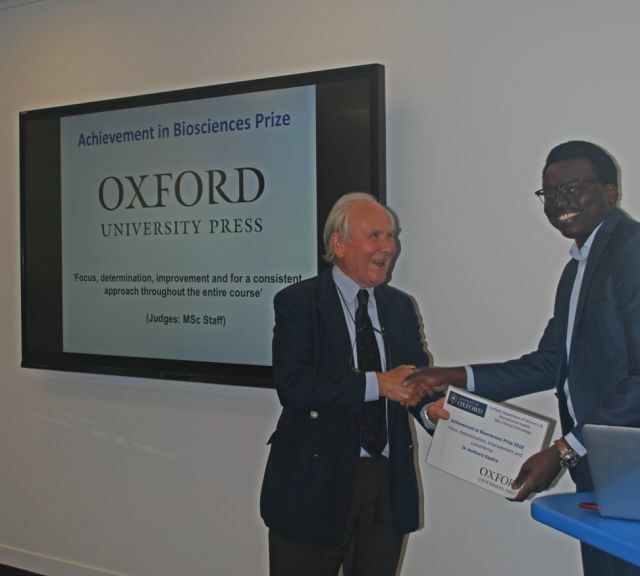 Professor Sir Richard Gardner presenting the Achievement in Biosciences Award 2017/2018 to Dr Anthony Kayiira. This prize is awarded to the candidate who displays performance, enthusiasm, and motivation in micromanipulation practical sessions. 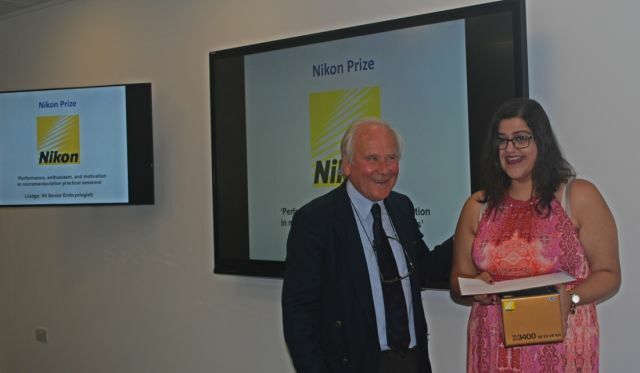 The prize is judged by a Senior Clinical Embryologist from IVI UK and is sponsored by Nikon Instruments. 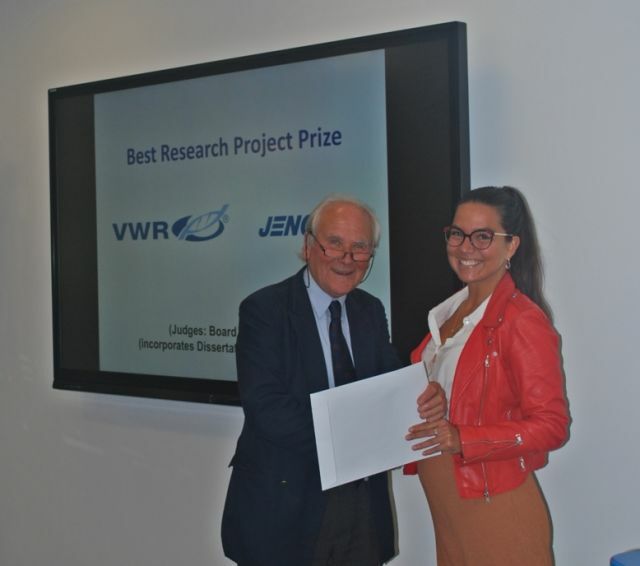 This prize is awarded to the candidate who presents the best laboratory research project/dissertation and is judged by our Board of Examiners. Professor Sir Richard Gardner presents Dr Nina Zoric with the 2017/2018 prize for best laboratory research project/dissertation.